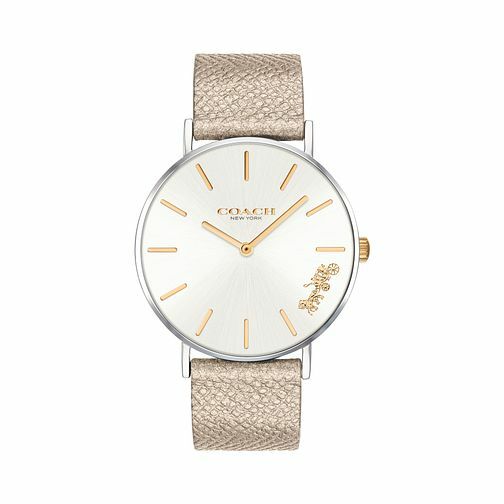 Contemporary chic, this Perry model by Coach presents a round silver tone dial, adorned with gold tone hour indexes, two matching hands, and an embossed Coach logo at the 4-o-clock position. With a stainless steel case and bezel, an attractive two-tone appearance with the dial detailings is presented. This watch is complete with a metallic gold leather strap, sophisticated and stylish.